At Rihanna’s 2013 Diamonds Road Tour, Budweiser will have its own spotlight night after night. 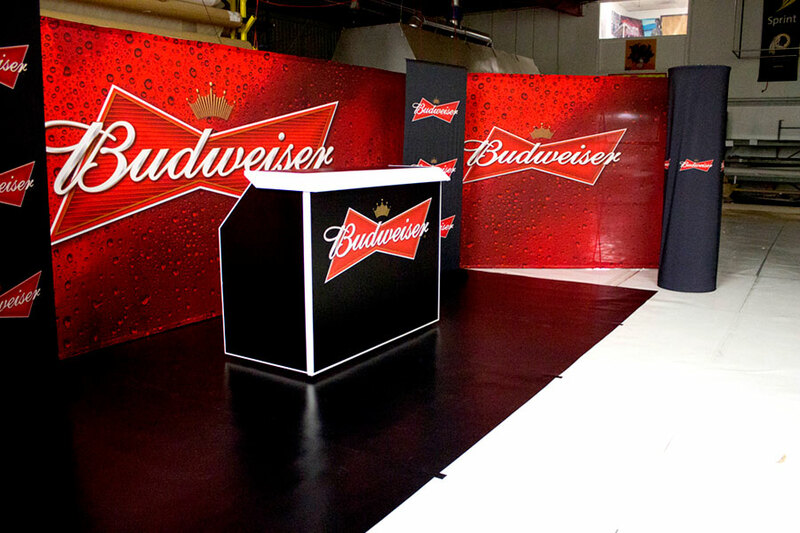 To get ready for the tour, Budweiser came to Enhance a Colour for event displays that would play to their crowds, and also be extremely portable. The hard notes to hit: the displays along with custom lighting, needed to be set up and taken down quickly and easily – for fifty different stops along the concert route. The backdrop of the displays would need to change in size, as some performances spaces were larger than others. 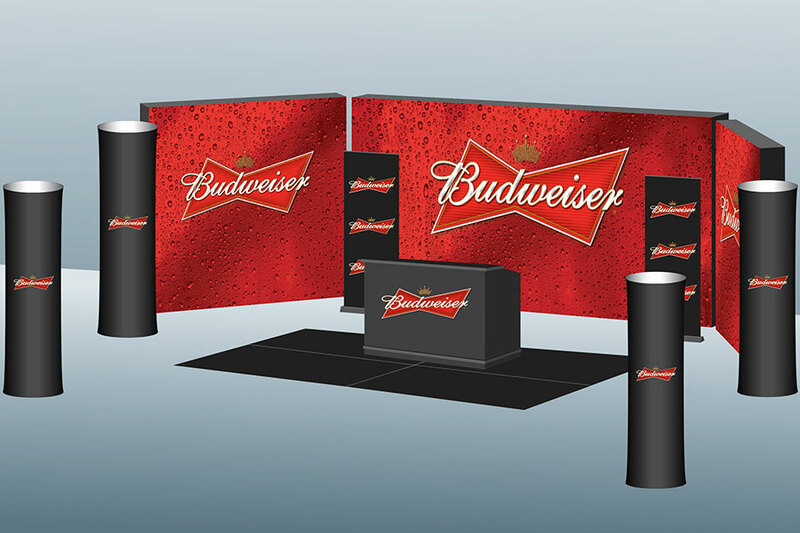 For Budweiser, we really raised the bar in portable displays. 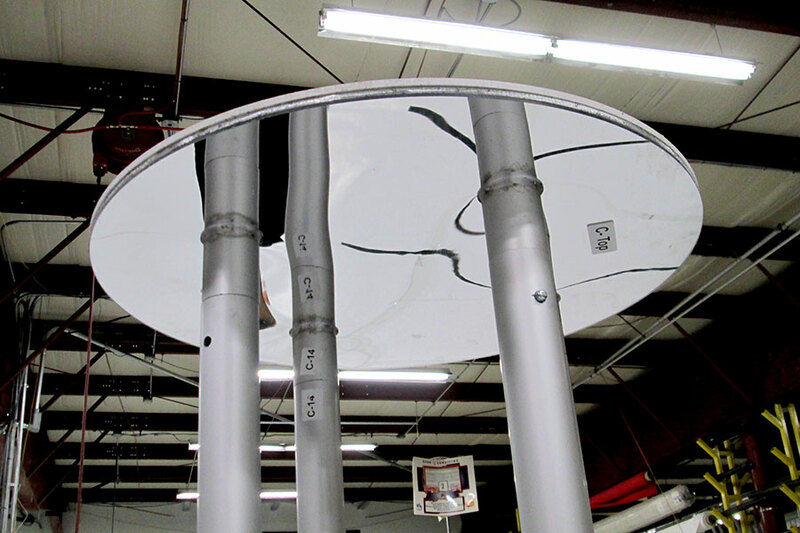 We started by creating amazing custom lighting columns. 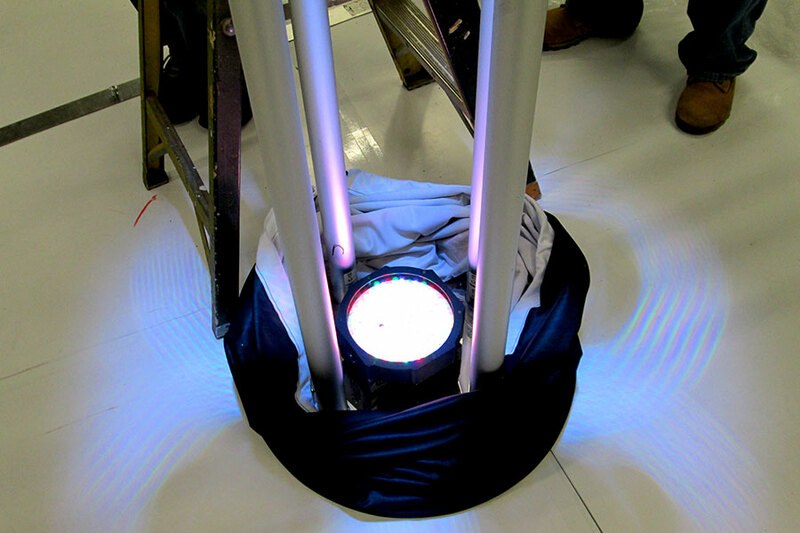 Branded fabric covered the multi-colored lights, illuminating the Budweiser logo in red, blue and black. The lighting columns were very simple to pull up and take down, in just a few beats. 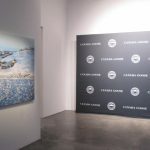 Next, we used our advanced technology and expertise to create vibrantly printed backdrops ranging in size from 20 ft. to a smaller 10 ft. drop. Depending on the space provided, the backdrop could be sized accordingly. 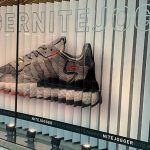 Custom flooring was also produced, which was durable enough to stand up to crowds, and lightweight enough to keep in step with the demands of travel. 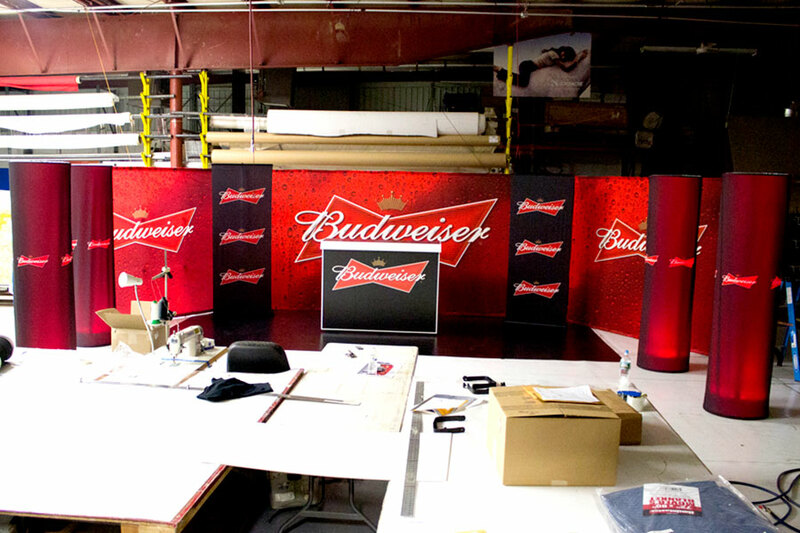 For the center of the display, and the star of our show, we produced the Budweiser Bar (72 in. wide by 54 in. high by 42 in. deep), printed with stunning graphics, visually enticing audiences to drink in the fun. The bar was made “To-Go”, and traveled easily. 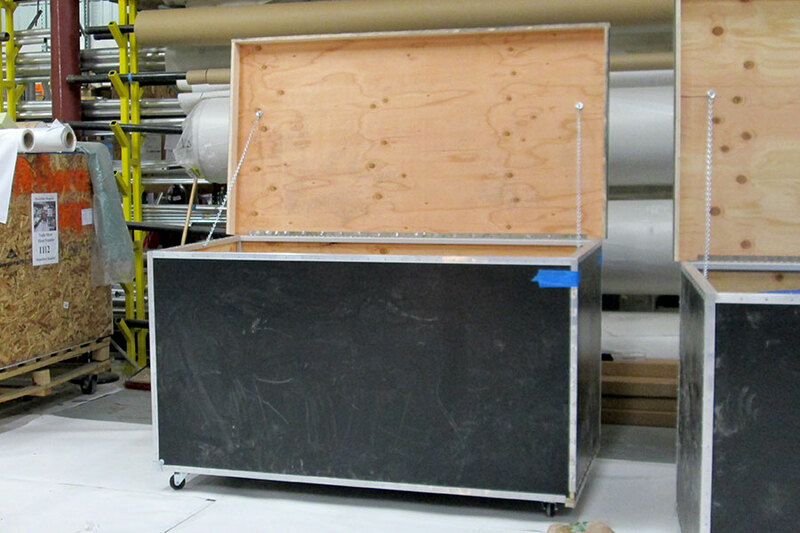 The big number came when we designed innovative traveling cases so everything could fit into just two of them. 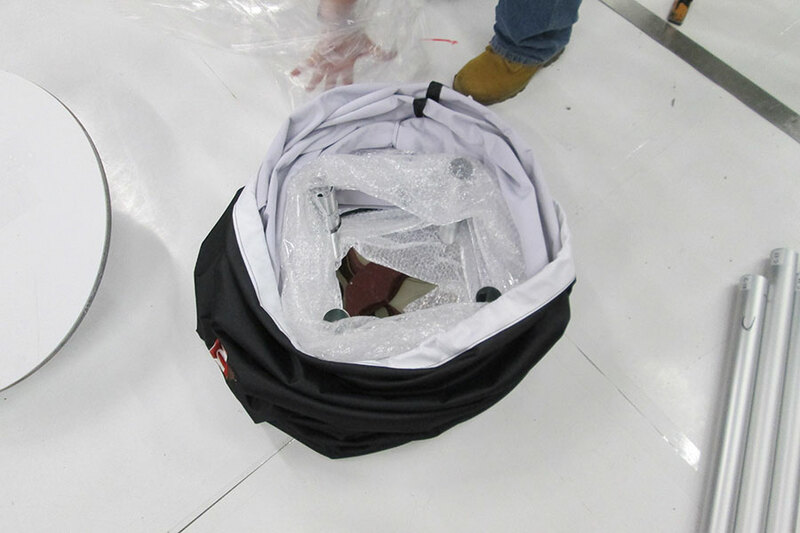 The cases allowed for the bar to be rolled in, the lighting fixtures snugly stalled away and the displays and flooring wrapped up for the night. As the music plays on, we are glad we were able to help Budweiser toast to Rihanna and all their fans all across the world.